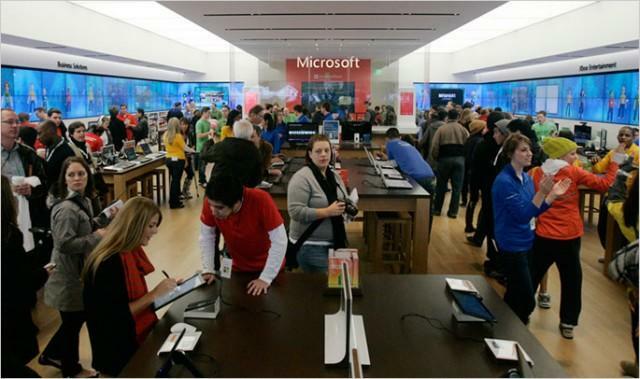 With Windows 8 laid out on the table, Microsoft is gearing up for a huge few months heading into the holiday season. So, to properly compensate for the large influx of consumer attention — much of which will be focused on the Windows RT and Windows 8 Surface tablets — the company is planning to erect 32 pop-up stores around North America. The list stretches between 20 different U.S. states and a few locations in Canada, including Toronto, Alberta and British Columbia. The Redmond company will use its widened presence to compete against Apple and Google as folks head out to purchase their next computer, smartphone, or tablet. Windows 8 is set to arrive on Oct. 26 alongside its Surface, and Windows Phone 8 will likely debut shortly thereafter. The company didn’t specify when the stores would make an appearance, but the probable timeframe would be well before the Oct. 26 launch of Windows 8. The full list of locations is below.